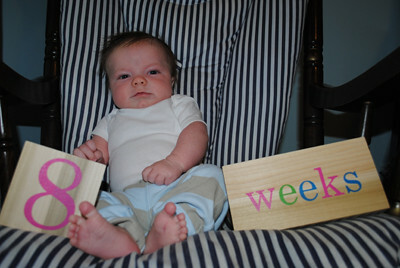 Lucas is 8 weeks old today! His sleeping has been hit or miss this past week. The past few nights have been better. At this point, I feel like we’re getting into a nighttime routine with him, and I’m terrified that we’re going to mess it up. Hopefully we can keep it going and get him to sleep longer periods at night. 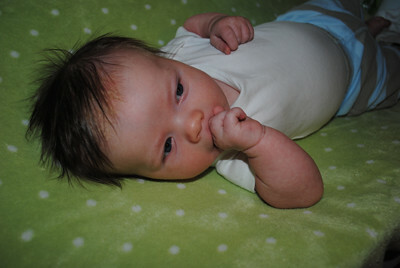 Lucas is getting more chatty and smiley each day. It’s very fun!